Tara Carapellucci - Rosenfield & Co.
Tara has been marketing businesses of all shapes and sizes since her graduation from the University of Central Florida in 2008. 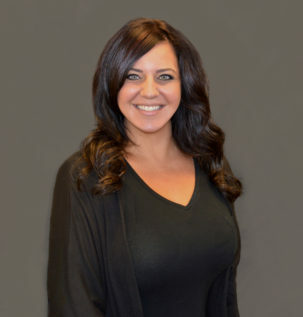 Until joining Rosenfield and Company in 2015, she served as Vice President of Sales and Marketing for a privately held entertainment company, managing over 40 hospitality driven locations across the East Coast, providing a deep understanding of daily operations, profit/loss, customer relationship management and business development practices. This experience paved the way for her to eventually consult for small businesses and startup companies in Central Florida and to fulfill a passion of hers to make a difference and see others succeed. Upon joining the Rosenfield and Company team, Tara has carved her department from the ground up. She primarily focuses on ways to connect the firm’s clients to the vast resources of the firm, market the strengths of the incredible staff at Rosenfield and Company and engage in potential new relationships and revenue streams for both the firm and its clients. When Tara isn’t at one of the firm’s three office locations or at an event for the firm, you can find her at home in East Orlando, with her husband, renovating the home they share with their two dogs and bird. Copyright © 2019 Rosenfield & Co. All rights reserved.